See full article: Lebson, Cory and Amanda Stockwell. 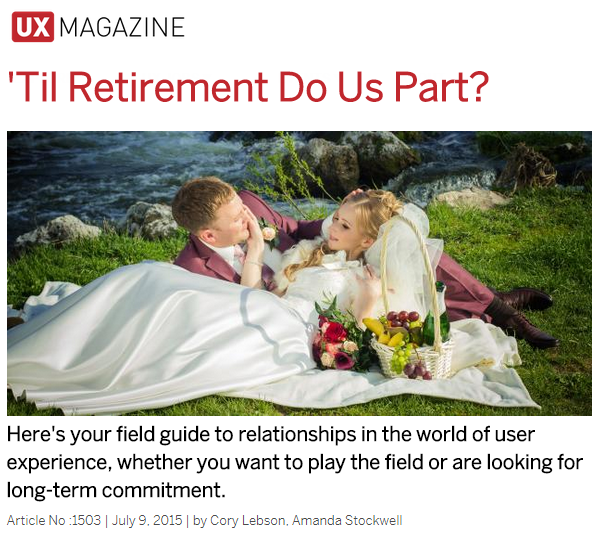 “‘Til Retirement Do Us Part?” UX Magazine July 9, 2015: Article No. 1503.